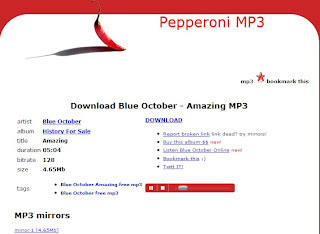 Pepperoni MP3 is a new free MP3 search engine, like other music search engines, it can help you to search and download MP3 music file from internet. You can type a keyword into search bar, choose a search mode: all, song, album, and artist. It gives you a list of results, click one item it will open another window with a simple player, you can click play song. 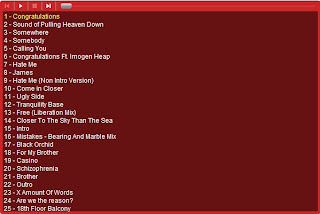 If the song has related album it can display a play list, you can play it either. It also offer download, just click "Download" link you can direct download MP3 file. This is a search engine, so it is not store any MP3. Update: after I wrote this article I had try Pepperoni MP3, it could not search anything. I think that cause it is powered by Up4um, it is down now, but you still can click early download or search songs on bottom list.